Words cannot express my gratitude to you for your outstanding care over the past two years. When I came to you, I never thought I could be pain free, or be able to walk normally again. Your expertise and sound guidance has changed that. I am able to live pain free and move comfortably once again. I thank you for always offering a thoughtful response to any problem I experienced during the course of my treatment. Your office always has an open door and for this I am grateful. I wish that my experience can help others who are suffering from back pain. 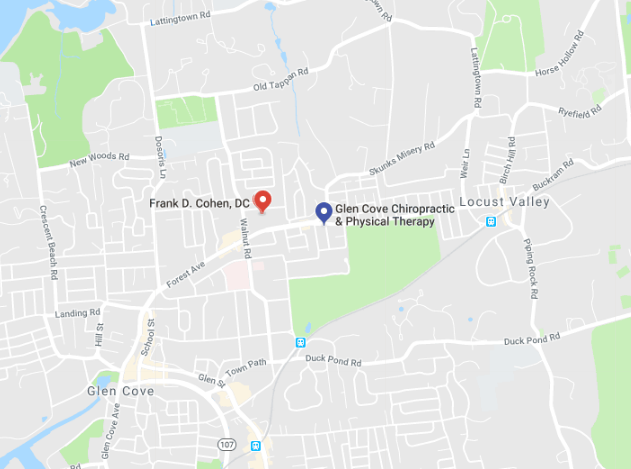 I have been going to Dr. Cohen for several years both for chiropractic care and physical therapy. Dr. Cohen is very thorough and takes the time during an evaluation to come up with an effective treatment plan that will provide long lasting relief. Dr. Roth the physiatrist is also excellent at finding the root cause to your pain and prescribes the correct physical therapy plan for pain relief and strengthening. Both Dr. ‘s are very knowledgeable in natural medicine and nutrition as well. Highly recommend this place. Very knowledgeable and explains everything very well. Doesn’t do anything without explaining it to me first and as he does it. Quick scheduling; always able to get same day or next day appointments! Friendly staff. A truly great, caring , knowledgeable Chiro with wonderful people working the front desk too! This comes from a child of one of the first licensed Chiros in NYS. His advice is spot on but never pressuring to purchase other services or supplements. We are fortunate to have him in Glen Cove!